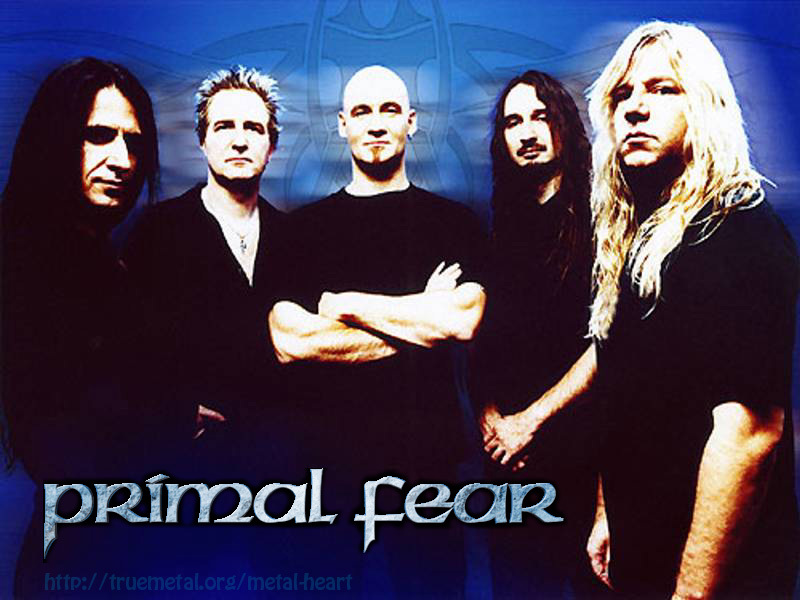 Primal Fear was founded in October 1997 by singer Ralf Scheepers and Mat Sinner (real name: Mathias Lasch). Scheepers and Sinner have been constants in the heavy metal scene before the band was founded. Ralf Scheepers sang in the bands Tyran Pace, F.B.I. and the international successful band Gamma Ray. After a gig with his Judas Priest cover band Just Priest in which Mat Sinner and Tom Naumann helped out the idea arose to found Primal Fear. They signed a record deal with Nuclear Blast Records in late 1997. 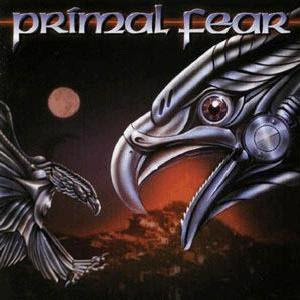 Their debut album Primal Fear was released in February 1998 and entered the German LP charts at place 48 thus making it one of the highest chart entries of a debut album in German metal. The same year they toured with German Metal veterans Running Wild and HammerFall. In July 1999 the 2nd album Jaws of Death was released. Shortly after its release guitarist Tom Naumann left the band due to health problems. During the tour through Europe, Brazil and Japan he was replaced by Alex Beyrodt. In January 2000 Henny Wolter joined the band as a permanent replacement. In early 2001 the third album Nuclear Fire was released. At the following world tour the band played in the USA for the first time and were guests at the Metal Meltdown Festival and the Milwuakee Metalfest. 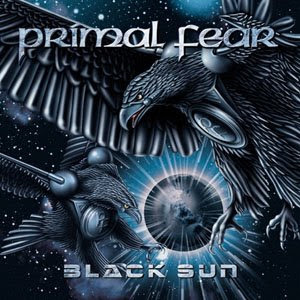 The next album Black Sun was released and entered the German LP charts at place 55. Halford-Guitarist Mike Chlasciak contributed the guitar solos for the songs “Fear” and “Armageddon”. The highlight of the following double-headliner tour with fellow band Rage was a gig at the Scala in London. The same year Henny Wolter left the band and was replaced by the returning Tom Naumann. With this line-up the band again toured through Brazil and ended the Black Sun tour. In April/May 2003 the band participated in the Metal Gods tour together with Rob Halford, Testament and a few other bands and toured through the USA and Canada. During the Tour drummer Klaus Sperling was replaced by Randy Black. After the Tour Randy joined the band permanently as Sperling left due to personal problems. In February 2004 the 5th album Devil’s Ground was released and entered the German LP charts at place 67. April of the same year the band started another world tour in which the band toured through Europe, the USA and South America. Directly after the tour the band recorded their 6th album Seven Seals in Vancouver and Stuttgart. It was released in Fall of 2005. To promote the album the band went on Europe and Japan tour together with fellow Power Metal band Helloween. In July 2006 the band surprisingly left Nuclear Blast Records and signed a long-term contract with Frontiers Records. 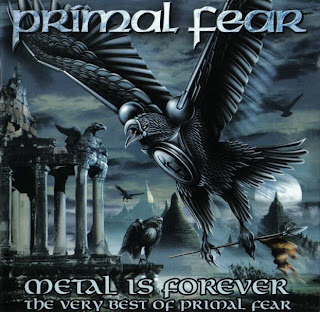 As a “parting gift” Nuclear Blast released the best of compilation Metal is Forever. In February 2007 during the recordings for the next album New Religion the band decided after long discussions about the future of the band that Henny Wolter will return as 2nd guitarist and Tom Naumann will leave the band. The album was finished under the direction of producer Mat Sinner and engineer and co-producer Charlie Bauerfeind and was mixed by Roland Prent in the Galaxy Studios in Belgium. It was released in September 2007 and entered the German LP charts at place 60. They started their New Religion tour as co-headliner of the the sold out Power Prog VIII festival in Atlanta, USA. Afterwards they toured together with U.D.O. through Europe. They continued the tour in January 2008 due to the band’s 10th birthday and once again toured through Europe. Early March 2008 the band announced that long time guitarist Stefan Leibing had temporarily left the band because he wants to spend more time with his family. On future releases and tours he will be replaced by a Swedish guitarist Magnus Karlsson, who already contributed 2 guitar solos for the New Religion album. In December 2008 the band entered the House of Music Studios to record their next album 16.6. which will be released in May 2009 through Frontiers Records. In January 2009 the band finished the album. 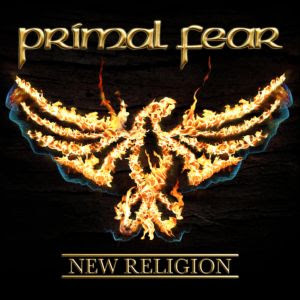 They say that “the music includes a lot of the vibe of our very first albums” and that “a new Primal Fear album always contained some new musical challenges, real surprises”. The Album was released on May 22 in Europe and June 9 in the USA. The Video for the song Six Time Dead (16.6) has premièred on May 8 on the band’s official MySpace channel. The Album reached #46 on the German, #52 in swedish and 28# in the Japanese album charts. The band will tour in South America, North America, Canada, Europe and Japan to promote their new album. They’ve also said that they’ll record a new live CD and DVD during every leg on the tour and that they’ll do a bigger North America tour and another European Tour in 2010. 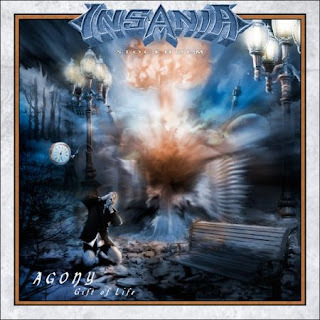 Insania was founded in 1992 by two musicians from Stockholm – Mikko Korsbäck (drums) and Henrik Juhano (guitar). The goal was to write and play music in the vein of Helloween, Gamma Ray and Blind Guardian. Henrik had earlier played in various garage bands. In the band was also bassist Tomas Stolt, who left the band after a short while, to play in with other acts, but returned in 1996 and has been with the band since. Mikko knew a guy from school whose name was Niklas Dahlin, and he became the second guitarist of the band. After keyboardist Patrik Västilä and vocalist David Henriksson from the northern parts of Sweden had joined – (Mikko had earlier handled the vocals, but wanted to concentrate on the drums from now on, since singing had become too tiresome) – the line-up was complete. The band has lost and replaced many members over the years. In 2001, after a short tour with Saxon, David Henriksson decided to leave the band and return to his hometown in northern Sweden, since he did not feel any motivation to continue anymore. After a short search, the band found a new and very talented singer in Ola Halén from Nacka. Returning to Finland, the band started recording their third album. Mikko Karmila was once again recruited for the producing duties, and Fantasy – A New Dimension was released in February 2003 – almost half a year after the recordings. In the summer of 2005, the band signed a record deal with Swedish label Black Lodge (Sound Pollution). The band recorded their fourth full-length album Agony – Gift Of Life during December 2005, but due to technical errors, it was not mastered until November 2006. It was released on June 1 in Sweden and on June 15th, 2007, in the rest of the world. In November/December 2007 the band embarked on a two-week European tour as support act for Ensiferum together with Taiwanese band Chthonic. 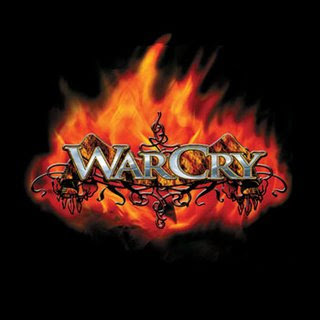 WarCry is a Spanish power metal band led by founder, singer, and songwriter Víctor García. Formed in 2001 when García and drummer Alberto Ardines were ejected from Avalanch, the band has since released five studio albums and one live album, with a sixth studio album currently in progress. 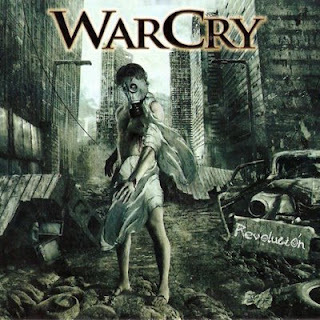 WarCry has had a fluctuating lineup with García as the sole constant member. The band has been acclaimed as one of Spain’s most famous heavy metal acts and has won numerous awards in both Spain and Latin America. 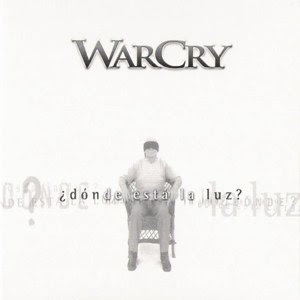 Sample of “Señor” from self-titled debut album WarCry. 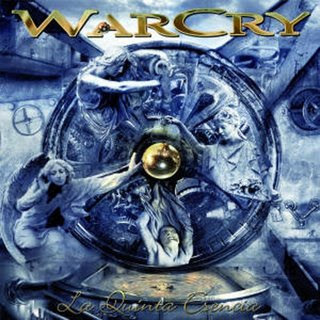 “WarCry” had always been Víctor García’s idea of a band — In 1992 he formed a band named War-Cry,playing as guitarist, but disbanded it in 1994 when he became the rhythm guitarist for Avalanch. After leaving Avalanch, in February 1996 he reformed the group as WarCry, this time acting as songwriter and lead vocalist. They recorded a demo entitled Demon 97, but disbanded again a year later when Víctor rejoined Avalanch as lead singer. — After being expelled from Avalanch Víctor showed Ardines the name and logo of WarCry. Ardines felt that those were “fantastic”, and that they should continue working on their new musical project, as they already had an “open path”. * 2005: ¿Dónde Está La Luz? 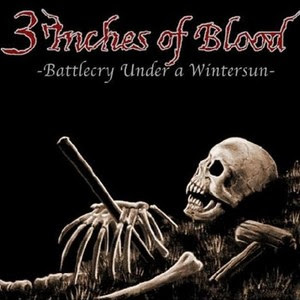 3 Inches of Blood, also known as 3IoB, is a Canadian heavy metal band from Vancouver, British Columbia, formed in 1999. They are mostly influenced by the bands involved with the New Wave of British Heavy Metal of the late 1970s and early 1980s. Before 3 Inches of Blood, Pipes and Hagberg were in a black metal band called Allfather. When Pipes was around 10 years old, he sang in his school’s choir. The group initially performed with only Jamie Hooper as vocalist before the addition of Cam Pipes. Hooper, Sunny Dhak, and Bobby Froese got together to do a one-off reunion gig for an old group of theirs; however, things went so well they decided to continue under a new moniker. Pipes heard their demo EP at the house of Hot Hot Heat keyboardist Steve Bays, a longtime friend and former bandmate. He was originally asked to add some vocals to the band’s already-recorded demo, Sect of the White Worm, and became a permanent band member after the results proved to the band’s liking. 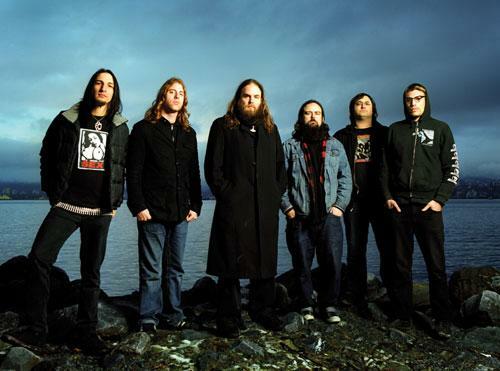 Their debut album Battlecry Under a Wintersun was recorded in 2002 and released in cooperation with the Teenage Rampage and Fashion Before Function labels. It was later remastered and re-released by the band under their own label entitled Minion Music. This release went by almost unnoticed until the band’s UK distribution label decided to put them on as a support slot for a tour with platinum rock band The Darkness. This exposure gained them much critical attention and acclaim in the world of underground metal, and they were signed up by major label subsidiary Roadrunner Records in 2004. In 2004, original drummer Geoff Trawick and bassist brother Rich Trawick left the band. Matt Wood of Vancouver doom/sludge/noise band Goatsblood, and Brian Redman replaced them. Original guitarists Sunny Dhak and Bob Froese left the band shortly after recording in around July 2004 because “they could no longer commit to touring and needed to deal with some personal matters”. They were also committed to a business that they had set up called Bloodstone Press, a union shop and party venue. It is now defunct and together with Mike Payette (who was the third of the four shareholders of Bloodstone Press) and Matt Wood (who is also an ex-3 Inches of Blood member since July 2005 and was replaced by Alexei Rodriguez) they founded the rock band Pride Tiger. The band plays music more oriented towards ’70s guitar-driven rock bands because, as Wood stated, “[m]etal just becomes the same thing over and over. Anyway, I’m not really a metal dude. None of us are. I’m sure if you studied pictures of 3 Inches of Blood you could pick us out as not really belonging there”. Sunny and Bobby were replaced by Justin Hagberg and Shane Clark. Roadrunner put out an advertising blitz, and the track “Deadly Sinners” from the band’s second release Advance and Vanquish appeared on numerous sampler CDs, compilations, and even three video games (Tony Hawk’s Underground 2, Saints Row 2, and Brütal Legend), creating a huge press hype for the band that caused their popularity to skyrocket, with a slot on 2005’s Road Rage tour in August (with bands like Machine Head and Chimaira) gaining them many new fans. Also in 2005, Justin Hagberg recorded the guitars on the tracks “Dawn of a Golden Age” and “I Don’t Wanna Be (A Superhero)” for Roadrunner United: The All Star Sessions. In October 2006, the band opened a show for Iron Maiden during the United States leg of their 2006 A Matter of Life and Death World Tour. The show was at the Verizon Wireless Amphitheatre in Irvine, California. The band wrote their entire third studio album in Tacoma, Washington and performed their new songs at various places in the vicinity of Washington. By December 2006, the band had begun to record material for their follow-up album at the Armoury Studios of their hometown, and revealed that it would be titled Fire Up the Blades, with Joey Jordison, drummer of Slipknot as producer. A demo of “Goatrider’s Horde” which was recorded in Seattle in the spring of 2006 was later made available for streaming on Roadrunner’s official website. Another demo of “Night Marauders” appeared in the fifth Battle Metal compilation album that was released in issue 161 of the UK magazine Metal Hammer. The band toured the United States during January and February 2007 in support of Cradle of Filth with The 69 Eyes and in March toured the UK with Biomechanical. On March 22, 2007, the band was confirmed to play the second stage at Ozzfest. On April 6, 2007, the band’s website was completely redesigned. Prior to the release of Fire Up the Blades, the band stressed that the album would be “darker, tighter and more dangerous” than their Roadrunner Records debut. “This album is heavily influenced by low quality beer, bong rips and listening to black metal in the dark”, says Hooper. “It doesn’t sound blatantly black metal, it still sounds like us. But it’s a faster, more intense version of us.” Fire Up the Blades was ultimately released in Japan on May 28, 2007, and worldwide on June 26, 2007. During the 2007 Ozzfest Tour, Jamie Hooper was unable to sing with the band as he was experiencing throat problems, and was warned by doctors that he may damage his voice permanently if he did not rest it. He did not perform on the Ozzfest tour nor the Operation Annihilation tour. Harsh vocal duties were taken over by guitarist Justin Hagberg. Hooper did not perform with the band for the whole 2007-08 year. Following a fight with Saxon drummer Nigel Glockler on November 10, 2007 at the Hard Rock Hell festival in the UK, 3 Inches of Blood fired drummer Alexei Rodriguez and issued an apology for his behavior. The fight left Glockler with broken glasses and a black eye. Four security guards intervened and beat Rodriguez severely, hospitalising Rodriguez with a broken elbow. He was replaced by Ash Pearson (of Sound Of the Swarm & Just Cause) who later joined the band permanently. Jamie Hooper was eventually forced to quit the band permanently in late 2008 after failing to fully recover and did not perform on Here Waits Thy Doom, making it the first album from the band not to feature any original members. Hagberg has taken over harsh vocal duties full-time. Hooper recently did a guest cameo appearance on Bison B.C.’s Metal Blade Records debut titled, “Quiet Earth”. Hooper performs the first verse on the song ‘Slow Hand of Death’. This is the first time Jamie Hooper has performed his screaming style vocals since he took his hiatus from 3 Inches of Blood. * Brian Redman – bass (2004 – 2006); Brian Redman was killed in a scooter crash in Tacoma, Washington on September 27, 2009, aged 31.